LOCATION: Ipswich is the County Town of Suffolk with a resident population of 130,000. The A12 and A14 dual carriageways provide excellent road communications with the national motorway network, London and the Midlands. The town’s railway station, only a few minutes walk away, provides a regular service to London Liverpool Street with a journey time of approximately 1 hour 10 minutes. These modern offices are situated in the “Saints Quarter” off Lower Brook Street, close to town centre shops, the attractive Waterfront development area. DESCRIPTION: The property is approached on foot via both Lower Brook Street and Tacket Street with excellent car parking facilities nearby. Vehicular access is via a private gated entrance from Wingfield Street. The offices are arranged upon ground, lower ground and first floor levels with additional secure storage at Lower ground level and are currently arranged to provide a number of individual offices, with scope to provide open plan accommodation. PLANNING: We understand the property benefits from full planning permission for Class B1 Office Use. 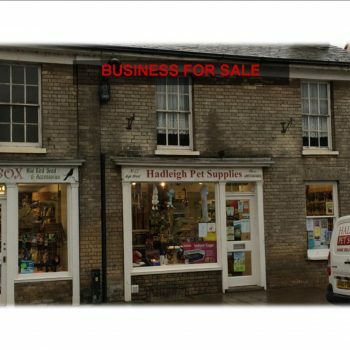 Further enquiries should be addressed to Ipswich Borough Council: 01473 432000.
BUSINESS RATES: The property is currently assessed as Offices and Premises. Rateable Value £17,250. SERVICE CHARGE: There is a service charge payable of 41% of Landlord’s costs in providing external repairs and 45% of Landlord’s costs in maintaining boiler room plant. 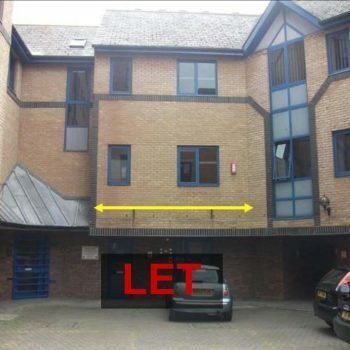 TERMS: To let on a term to be agreed on an effectively new Full Repairing and Insuring Lease, in conjunction with the adjoining office at No.9 Lower Brook Street as the Landlord retains responsibility for external repairs and recharges the tenant.